Over the past year, Sufyan has worked to add an air quality reporting feature to the current Air Watch Bay Area website and optimized the site for mobile. He is currently working on translations for the site as well as on other features. Having worked for the Carnegie Mellon CREATE Lab, he is passionate about implementing web tools to empower communities and creating compelling visualizations to share insights into our world. Danielle has joined the Collective as a data analyst. She is currently developing visualizations and analyses using air quality data collected by sensors near Bay Area oil refineries. Driven by her interests in visual communication and decision-making, Danielle is enthusiastic about the opportunity to turn data into information that can be leveraged to promote well-being. Danielle has previously worked as a data scientist in the healthcare industry, where she primarily researched healthcare QoS and ETL quality. In addition to her current work as a freelance writer and editor, Danielle is studying environmental policy and sustainability at Harvard University and plans to pursue a Ph.D. in environmental policy in the near future. Kristen has been with the Collective for about two years. At present, she is thinking about community-expert interactions, particularly how installed base and organizational capacity influences an expert’s ability to develop meaningful collaborations with community groups. She is interested in the intersection of science and society, particularly how physical and life science information is conveyed outside the research lab. Her goals are to help researchers convey complex topics to the public in engaging ways. Currently, she is looking at citizen-scientist interactions and what components are necessary for scientists to forge meaningful collaborations. Sarah is passionate about the environment and individuals rights to it, which plays a great role in how research is done and how policies are made. Her work at the Fair Tech Collective, which has turned into her Master’s Project, is based on community led citizen science and peer review. From her work she hopes to learn more about the interactions between a dominantly professional practice, peer review, and citizen science and, more specifically, if traditional peer review is useful and confers status to those citizen science communities seeking change. Amos worked on sensor data from Bay Area oil refinery air pollution sensors mainly gathered from ESDR, an open source data repository intended for storing and retrieving time series environmental data. By writing open-source analysis script for the project, Amos examined the relationship between Bay Area oil refinery air pollution and pollution in the residential areas close to the refineries. He is excited about the potential to leverage modern data analysis to advance citizen science efforts for critical environmental justice issues. Kelsey is a former Drexel co-op student who has been working on the upkeep of the Fair Tech Collective media pages. She has researched different means of adding visual monitoring as well as helped with the design of parts of the final reports on the Meaning from Monitoring project. She is moving on to pursue a graduate degree in Public Policy with a focus in Environmental Policy and is thankful for the opportunity to work with Environmental Justice communities and learn firsthand how citizen science and access to clear, usable data is vital in aiding such communities in accomplishing their social and political goals. Sarah was a Summer of Maps Fellow at Azavea and she conducted a geospatial data analysis project with the Fair Tech Collective investigating petrochemical pollution footprint in the San Francisco Bay area. She is passionate about the use of maps and spatial analysis to expose and communicate issues of environmental injustice. She had a great time working with the Fair Tech Collective to analyze petrochemical pollution and map its spread throughout the San Francisco Bay area. See her blog on the project here. Amy’s research interests include computational social science, urban analytics and machine learning. Her work at the Fair Tech Collective was part of the Meaning from Monitoring Project, developing web and mobile technology for fenceline communities. As president of the Drexel Women in Computing Society, she earned the Association for Computing Machinery's Council on Women in Computing Student Seed Fund Award for her work developing a new model for sustained mentorship. 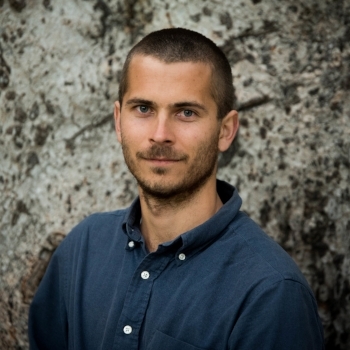 As a Data Analyst, Niklas worked on data validation, analysis, and wrote an open-source analysis script for the Collective that examined the relationship between Bay Area oil refinery air pollution and personal health outcomes. He was excited about the potential to leverage modern data analysis to advance citizen science efforts for critical environmental justice issues. The Bay Area is his home, and he appreciated the opportunity to apply his skillset towards concrete outcomes. As a GRA for the Meaning from Monitoring project, Derek helped design, plan, and implement our participatory design workshop and the subsequent testing. Additionally, he designed and implemented an online survey for members of fenceline communities to help better understand how current data access tools are being used and what characteristics make them more helpful in making ethical claims. Working with the Fair Tech Collective gave him a rare opportunity to learn, through practice, valuable skills for his career as a scholar while engaging meaningfully with a community that’s directly affected by the neoliberal regulatory and social patterns he studies.